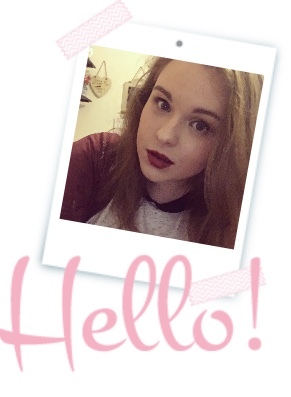 Firstly I just want to address the fact that I have been blogging for 8 days straight now, so lets just appreciate that. I'm actually quite proud of myself. I wanted to chat about festive films, I like to ease myself into the festive spirit. I feel the first week of December is acceptable to start listening to Christmas song but the second week is where it gets serious. The Christmas films are almost played on a loop from now until Christmas day. I started last night by popping on a favourite of mine, and that of course is......Muppet's Christmas carol. I have loved this film since I was little and I can't help but love it now. I have always love the Muppet's and I think that this film is brilliant to watch with all the family, old or young. Not that she will read this, but for my friend I just want to say in the Kermit voice "after all there's only 17 more sleeps till Christmas" so she needs to watch this film when she gets time. 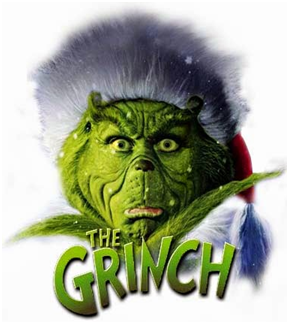 The Grinch why stole Christmas, a brilliant story by Dr.Seuss and an amazing film. The Grinch came out years ago and as far as I can remember, I have watched the Grinch every Christmas since I was little. I don't know what it is about the Grinch that makes it so good. I grew up with nearly all the Dr.Seuss books and the Grinch and hop on pop were my favourite. I think the acting in it is actually really good and this film is really funny. My favourite song from this film is definitely 'Where are you Christmas?' it just makes me feel all warm and fuzzy and properly gets me in the Christmas spirit. I really enjoy the film elf, I think Will Ferrell is a brilliant actor and I really love him in this film. I think the whole story line is fantastic and I love it when they start to play elf at Christmas. I really love the Santa clause films, there are different sequels to them and I just find them really enjoyable. They aren't my favourite but I remember watching them when I was in primary school every Christmas and I suppose they just make me feel young again (I am young, I'm only 17 but you know what I mean.). Well I hope you enjoyed this post, come back tomorrow for blogmas day 9! What are some of your favourite festive films, leave a comment below.